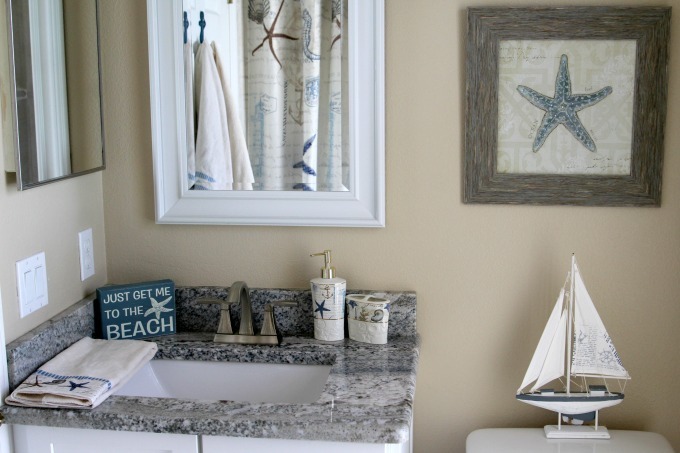 This coastal themed bathroom makeover has been on my to-do list for over two years. Better late than never, right? It’s amazing what a difference a little cleaning and the right accessories can make, and now I have a guest bathroom that my visitors will love! 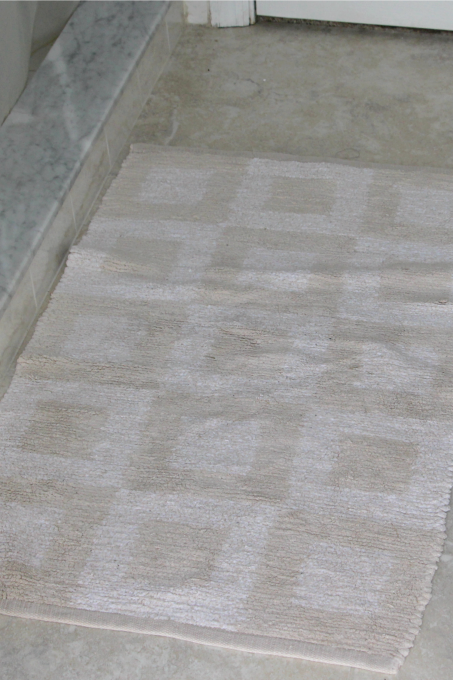 This post contains affiliate links to help you find the products I used to decorate my bathroom. If I wasn’t able to find the exact product online, I linked to a similar one instead. Have you ever had something on your to-do list that you keep putting off and before you know it, 2 1/2 years have gone by? I sure hope so because it would be nice to know I’m not alone! 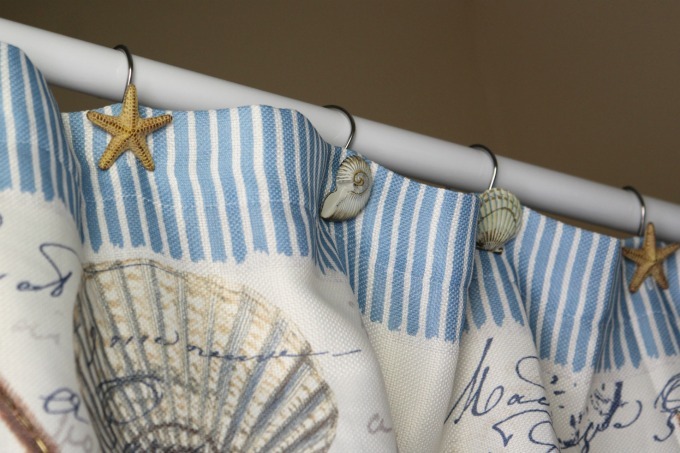 When we moved into our house, we made plans to decorate with a coastal theme. We began with the main areas of the house, and by the time they were done, I decided to take a break before starting on the guest room and bathroom. That break just happened to last 2 1/2 years…oops! When my parents were planning a trip here for my daughter’s birthday, I decided that it was high time I redid the guest bathroom. The first thing I needed to do was clean it, especially since it’s almost time for spring cleaning anyway. We hadn’t had guests since Christmas, and while we also use it as the pool bath, it’s been way too cold for swimming over the last month. Out of sight, out of mind, and it was past due for a thorough cleaning. I chose to shop at Dollar General because not only do they have all the spring cleaning supplies I need, they have great prices too. 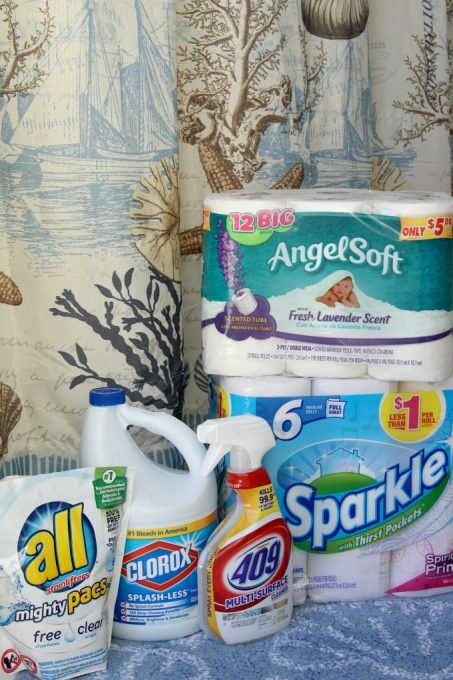 I was able to pick up a combination of products from Clorox, Georgia-Pacific and Henkel. Dollar General’s Spend $15, Save $5 deal (good from 2/18/18 through 3/18/18) helped me save some extra money too. Now it was time to get to work. Want to see what the bathroom looked like when I started? How awful is it that I still have just a plastic liner hanging in the shower? The shower rings aren’t much better. The rug had to go too. 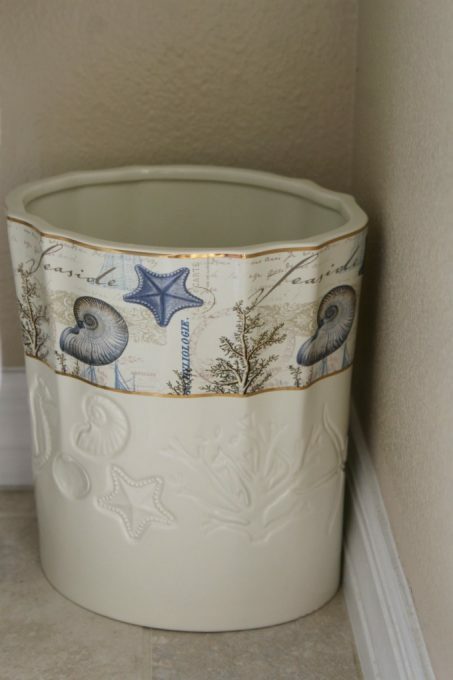 It fit our bathroom decor years ago when we had a modern look but nothing about it says coastal. 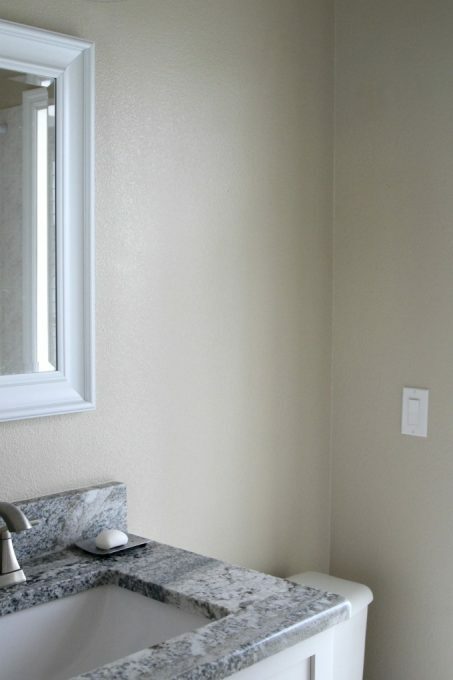 The sink area definitely needs some dressing up. This is way too boring. Speaking of boring, check out the bare walls! 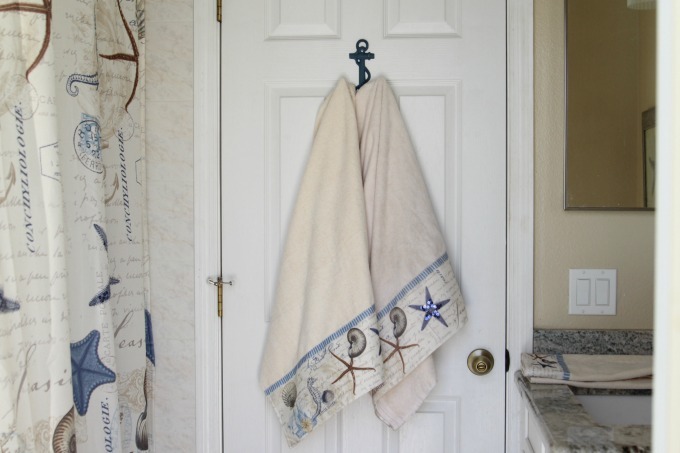 Some new towels would look good, as well as something nicer to hang them on! It was fun shopping for new bathroom decor, and once I found everything I wanted, I was ready to go home and start cleaning. First, I washed the new towels I’d just bought. 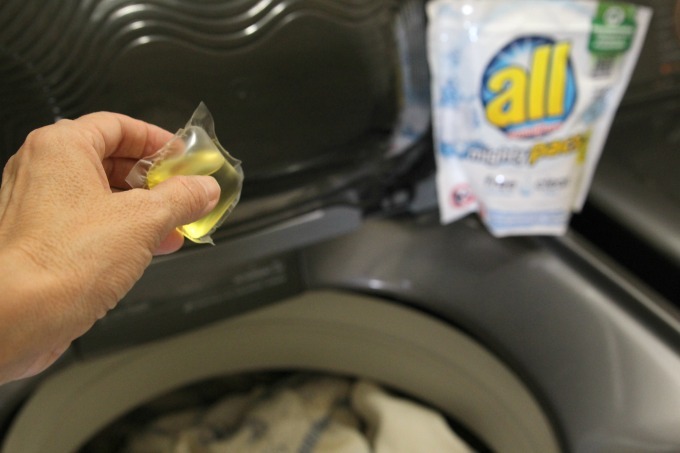 This all® Laundry Detergent makes life so easy because all I have to do is drop in a laundry pac and my wash is good to go. Time for the bathroom. 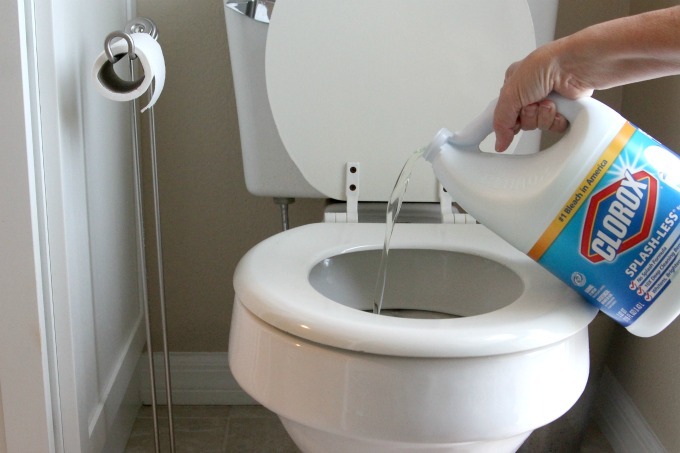 I like Clorox® Regular Bleach because you can use it on everything from clothes to toilets. I love that you can use Formula® 409 for so many different things. It saves the trouble of having a different cleaner for everything. It works great for the bathroom mirror. 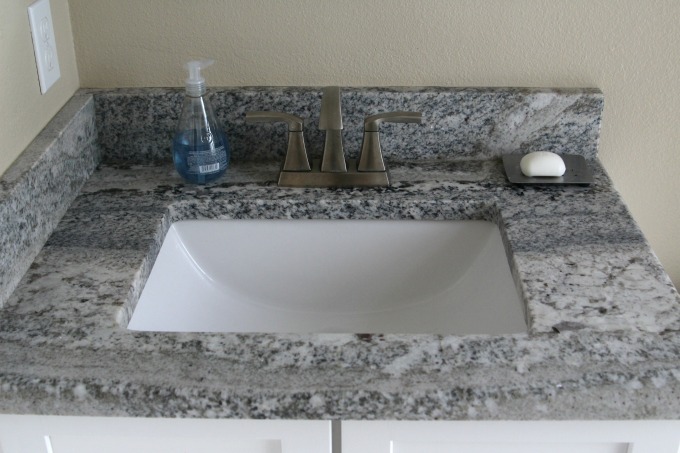 I also used it on the sink area. 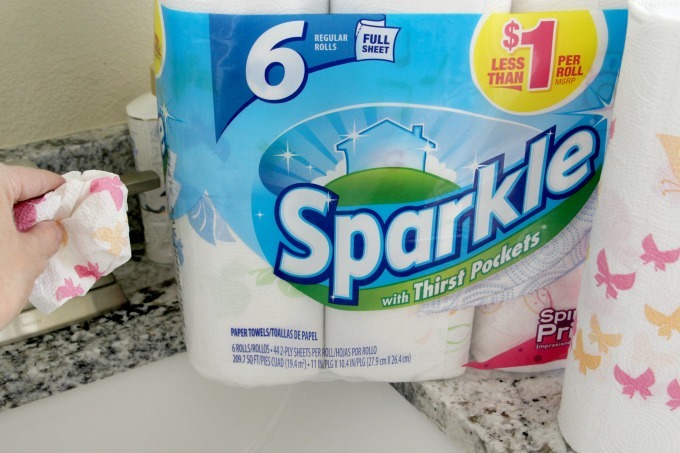 Since sponges can leave streaks on the faucets, I used Sparkle® Paper Towels to wipe them dry. I always keep a spare roll under the bathroom sink for cleaning up extra water on the counter or wiping toothpaste out of the sink. These even come with a cute pattern. Finally, I stocked the bathroom with Angel Soft® Bath Tissue. The last thing you want is for your guests to run out of toilet paper! 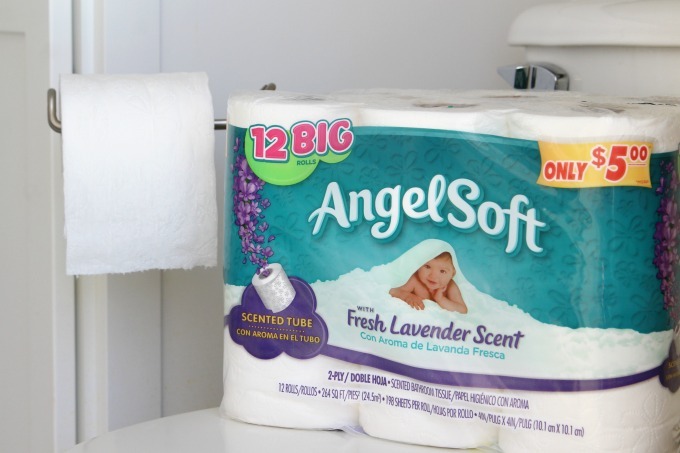 Not only is Angel Soft® actually soft but you can buy it with a fresh lavender scent for a fresh smelling bathroom. Now that the cleaning was done, it was time for the fun part. It’s always so exciting to get new things for the house, and I couldn’t wait to start decorating. 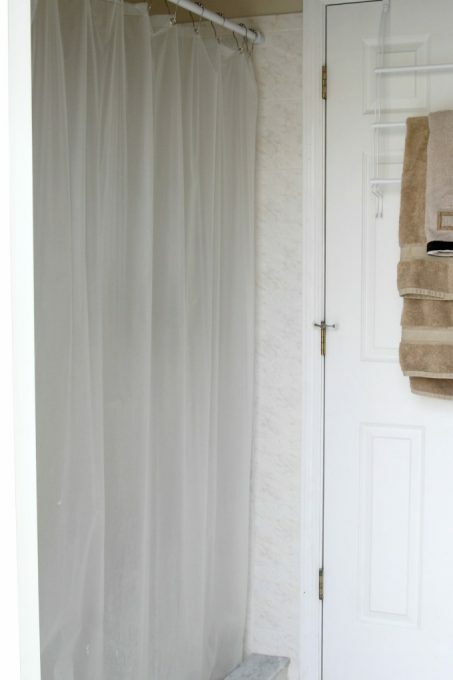 First and foremost, this bathroom desperately needed a new shower curtain. I loved the pattern on this one. 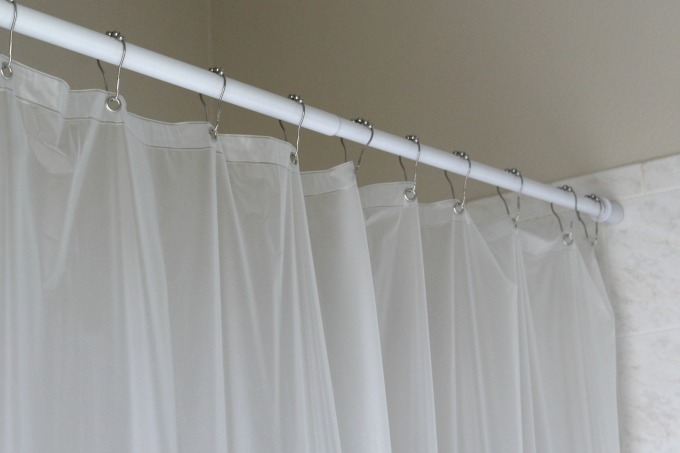 I hung the new curtain with matching shower curtain rings. 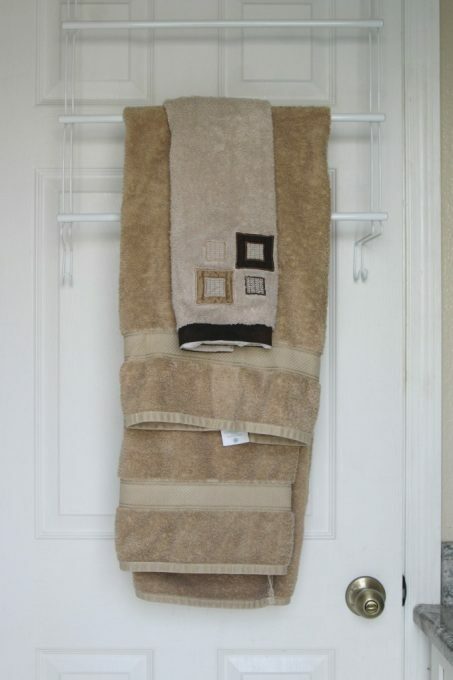 The ugly over-the-door towel holder had to go. 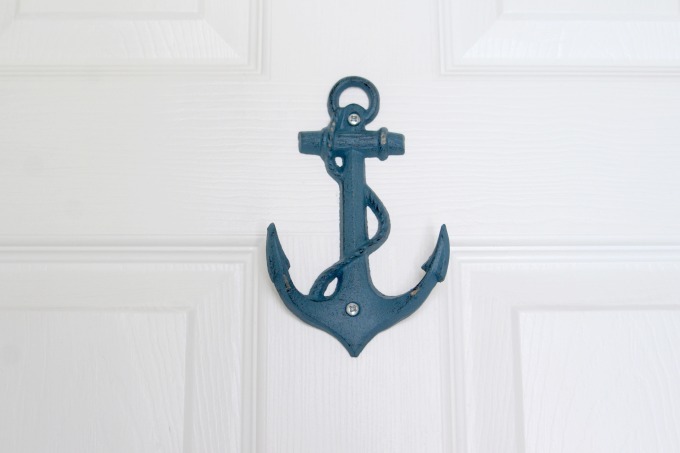 I replaced it with this anchor hook because any coastal themed bathroom needs at least one anchor, right? 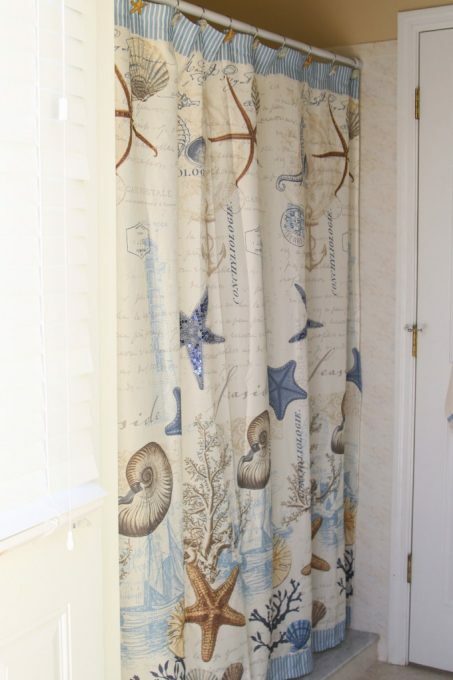 Next, I hung coastal style towels to match the shower curtain. 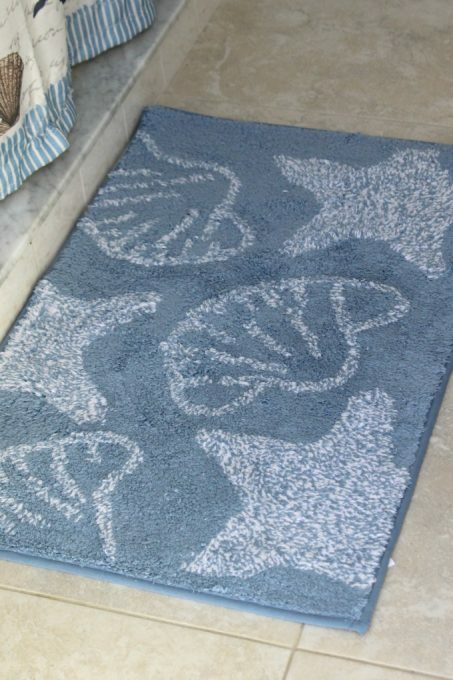 This new rug was perfect, too. I was so ready to get rid of the old one and this one looked a million times better! I’d found even more matching accessories, like this soap dispenser and toothbrush holder. 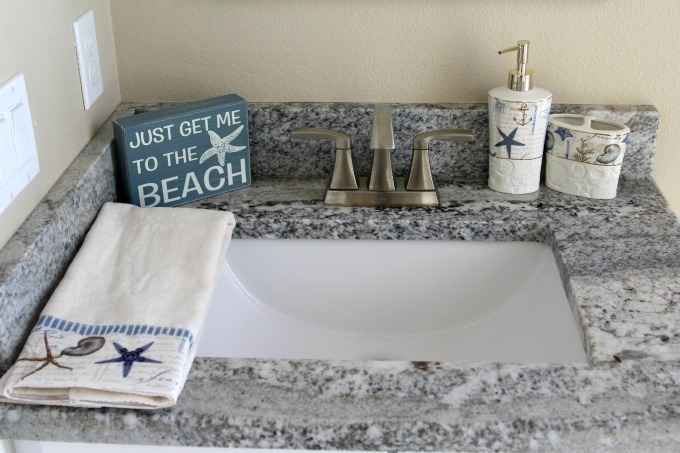 A cute beach sign and a hand towel were the finishing touches to the sink area. The old metal trash can was replaced by one that matched all the other new decor. 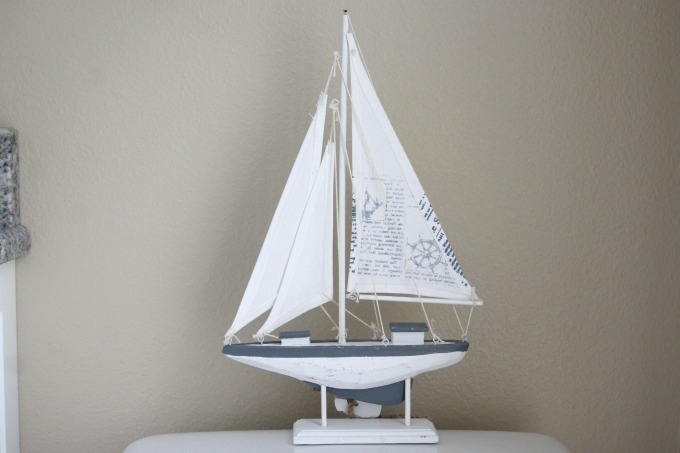 WWhen I saw this sailboat in the store, I had to have it! Since the wall behind the toilet had been so bare, I knew it would look great there. 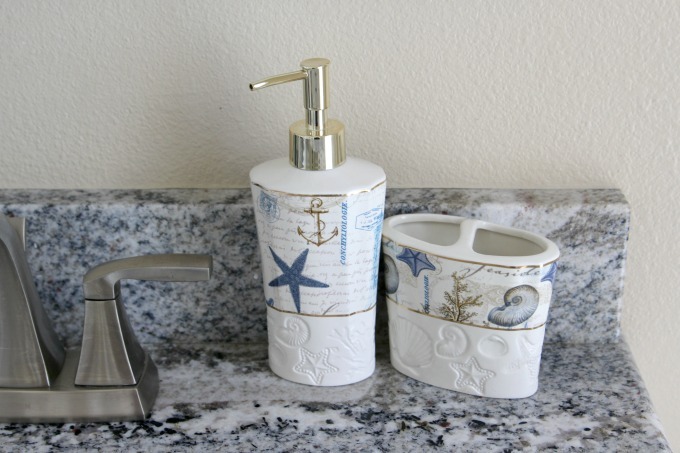 After hanging a picture that matched all the accessories, my coastal themed bathroom makeover was complete. What a change from the original look! It’s amazing what a difference a little cleaning and some new accessories can make. It may have taken a couple years, but the guest bathroom finally looks the way I had envisioned it. Who wants to be my next guest?! Do you have a room in your house that needs redecorating? 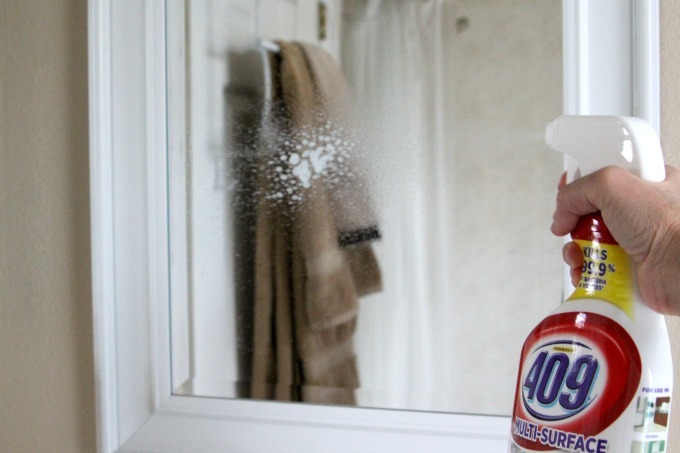 Are you planning to do some spring cleaning first? 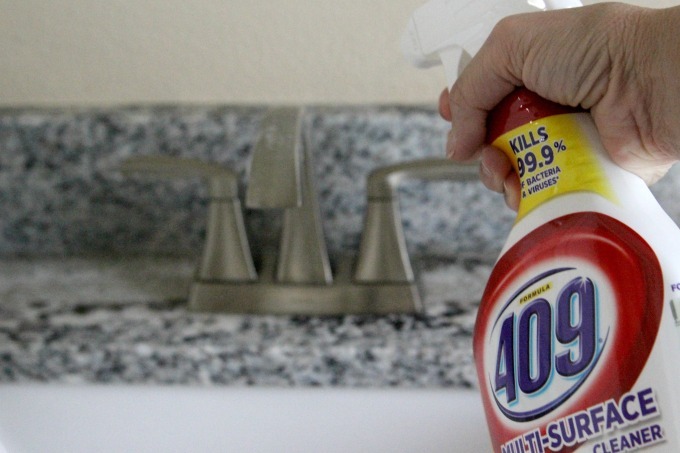 What are your favorite cleaning supplies? Love the whole coastal theme. Everything coordinated. Wow. Where were you able to purchase everything from.